When you retain more customers, you can reduce the costs that go into web site ads, printed materials, advertising, and any other kind of marketing you perform for your business. Furthermore, the dollars you do spend will go further to reaching new customers. 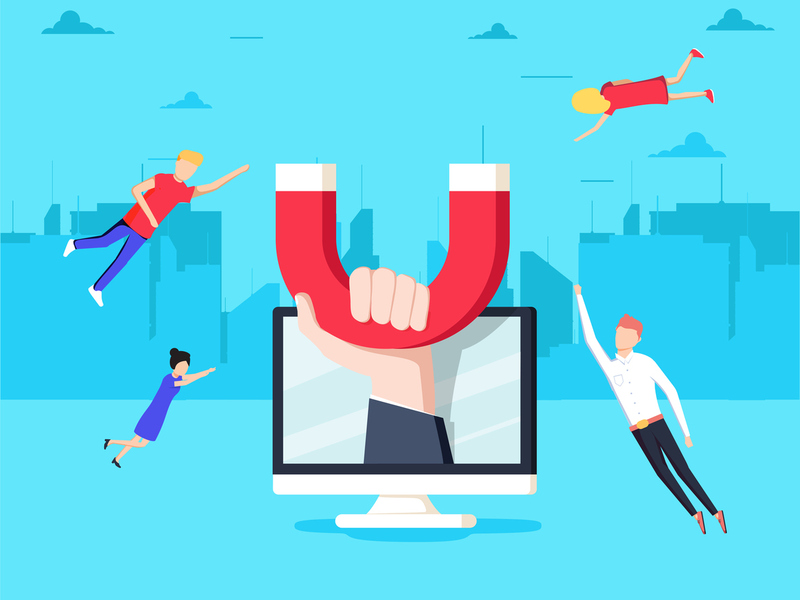 Some studies demonstrate that focusing on customer retention increases revenue over a two-year period by as much as 80 percent. Remember that this is a direct result because of how the probability of selling to an existing customer is much greater than the likelihood of selling to a new customer. By focusing more on retention, it actually costs less to get new customers. These costs can be reduced by nearly a third in some cases. A Harvard Business School study shows that just a five percent improvement in customer retention rates can increase profitability by between 25 and 95 percent. Utilizing smart retention strategies that improve customer services and resolve issues translates into more satisfied customers. This, in turn, generates a positive emotional experience that is needed to drive brand loyalty. Without any additional cost, satisfied customers will sing the praises of your product in places that matter like online reviews, social media, and to the people they know personally. Getting legit feedback that can improve your products and services requires investment in surveys, market research, and other methods. But remember that regular customers can give you valuable insight—for free. Once you have collected customer insight, you can find new ways to generate improvements that will feed back into the cycle, as satisfied customers continue to use your services. A smart, efficient way to increase your customer retention rates is through superior order fulfillment strategies. Investing in fulfillment gives an e-commerce brand many more options. When customers get exactly what they ordered, on-time, and free from damage, it bolsters consumer confidence and helps create repeat business. Depending on how personalized initiatives for customers are outlined, they can often seem like a daunting challenge for a fledging e-commerce business operating with limited resources and an infinite number of tasks to perform. Perhaps your company already goes the extra mile with personalized notes, extra discounts and offers, or other small details that aid in building customer experience. However, as you scale up in terms of the sheer number of products you are moving, you can rely on a trusted fulfillment company to help with your initiatives to provide a unique and special customer experience across your entire network. By using unique packaging, you add branding value to every single one of your products that gets shipped out. Durable, high-quality packaging utilized by leading fulfillment companies will also garner customer attention. Customers often appreciate learning about your other products. An e-commerce business is in the unique position to target samples at existing customers. Samples can work to convert existing customers, or to generate new orders from your product making its way into new hands. When your customers consistently get their products on-time, it silently builds the trust that leads to future business. Be aware that today’s customers expect fast shipping options from e-commerce businesses they use. A fulfillment solution can dramatically increase order accuracy. By delivering exactly what customers ordered over 99 percent of the time, customers will experience a heightened sense of satisfaction. By offering a standardized, clear return policy and method to process returns, you save yourself the hassle of dealing with the customer and you give customers incentive to trust your company and use your business again. Loyalty programs build interest in your brand and foster greater customer incentives for return business. A leading fulfillment solution can support your customer loyalty programs. Whether you require distribution of specific rewards such as merchandise or cards, or want to use specially branded materials (codes, letters, envelopes, inserts) within your deliveries, fulfillment is a great way to direct your customers to your loyalty programs and to deliver said rewards. Often, brands look for the most obvious ways to grow, and these involve targeting potential customers, building content, or other strategies. These all may work, however, the strength to be found in looking for ways to increase customer retention is that it actually helps your entire business overall. By utilizing the service of a fulfillment company, you can retain more customers. If your e-commerce brand needs a better way to achieve stronger customer retention rates, APS Fulfillment, Inc. can help. In our business, we work with e-commerce brands in order to deliver consistently successful fulfillment services that leave your customers feeling valued and satisfied. Our approach is to work smarter, harder, and better by utilizing every available tool from the latest software to best warehouse practices. For more information or to request a quote about our services, you can contact us by e-mail at [email protected] or by phone at (954) 582-7450.